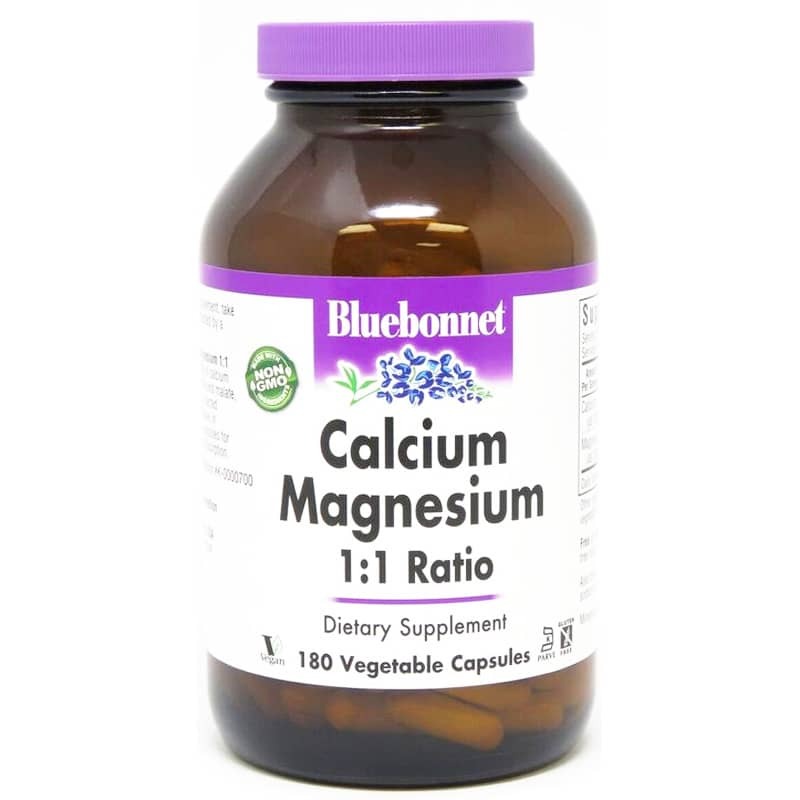 Calcium Magnesium 1:1 Ratio from Bluebonnet is a gluten free, vegetarian dietary supplement presented in a highly absorbable form to support bone health and calcium levels. 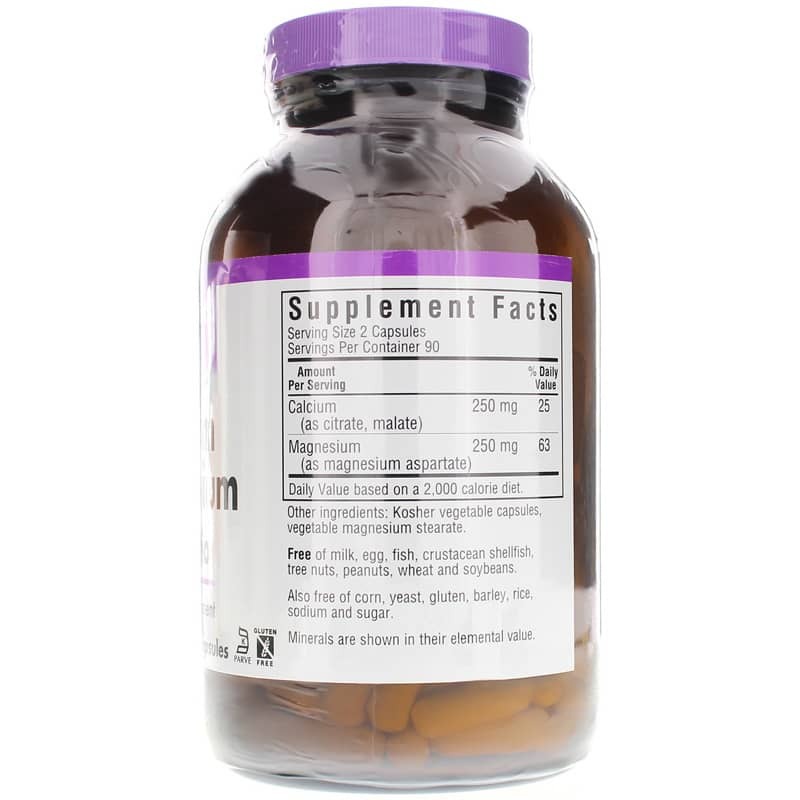 This natural supplement presents calcium in a chelate blend of calcium citrate and magnesium aspartate in a 1:1 ratio. Your body requires sufficient magnesium to use calcium. And both minerals play a critical role in the development and maintenance of bones, among other important functions. Both minerals also share the same absorption pathway in your small intestines. And when they are present in unequal concentrations, your body may absorb the one in the highest concentration. When using this healthy bone and teeth supporting dietary supplement, adults may take up to two capsules daily, or as recommended by their healthcare professional. Contains NO: GMOs, milk, egg, fish, crustacean shellfish, tree nuts, peanuts, wheat and soybeans. Also free of corn, yeast, gluten, barley, rice, sodium and sugar. Vegan and Kosher. Adults: As a dietary supplement, take 2 capsules daily or as recommended by a healthcare professional. 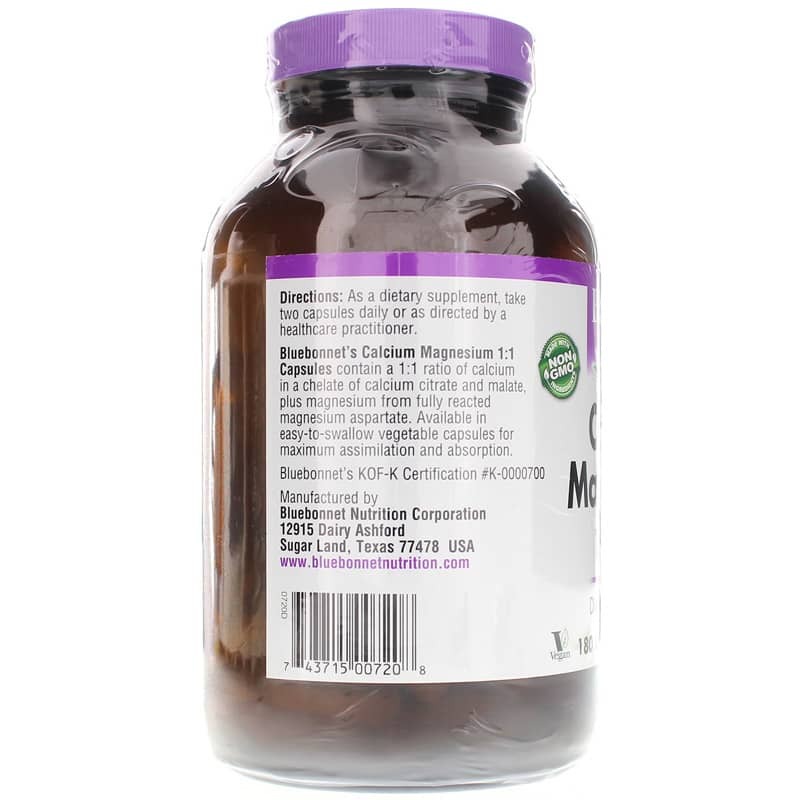 I get really bad stomach aches from magnesium and i have dairy allergies so I really like this Calcium Magnesium 1:1. I haven't had any reactions.I like that it is not a hard capsule so it disloves easy.